This December, Social Work Council is celebrating its 20th year of Giving Tree. This venture is the council’s biggest project. The purpose of Giving Tree is to provide a wonderful Christmas experience for under-resourced children in the Dubuque community whose families would not be able to afford it. In honor of 20 years, Giving Tree’s goal is to sponsor 200 kids in the Dubuque community. Assuming it costs approximately $50 to sponsor a child, that is equivalent to $10,000. Anyone on campus is able to sponsor a child and help the council reach this goal. Several individuals take on this responsibility, but there are also multiple clubs and sports teams that work together as well in this sponsorship. Typically, sponsoring a child means shopping for a list of gifts they have requested such as toys or clothing items. However, there is also the option to give a monetary donation. 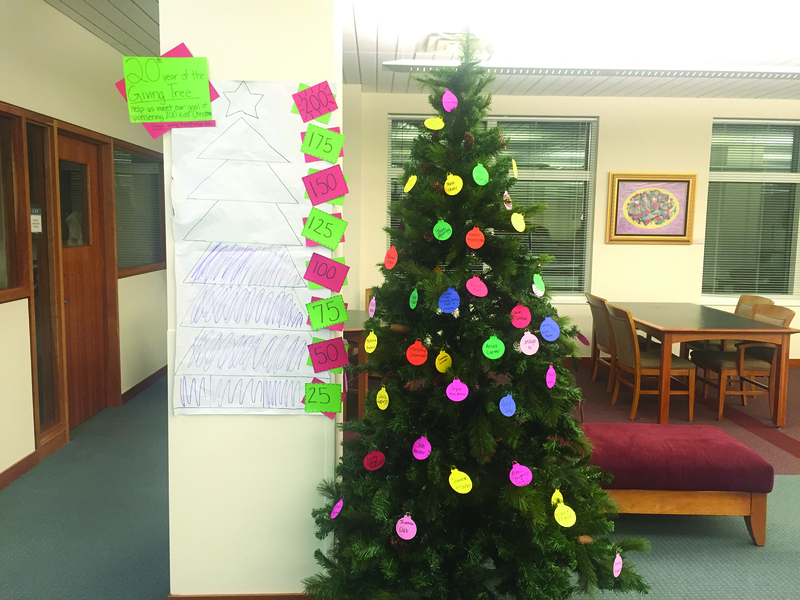 In the past, Giving Tree has primarily only reached Loras students, but this year the council attempted to reach the Dubuque community at large as well. In order to do so, they did fundraisers and collected money at places like the Kennedy Mall, Shopko, and Culver’s. All of the money collected will be used to pay for additional gifts and shop for remaining children, should the goal not be met. However, the council is extremely close to their mark of 200 children. As of Sunday, Dec. 4, 175 kids have been sponsored and an additional $2,700 has been raised. Giving Tree has historically been a successful endeavor at Loras, but the growth of the organization this year is a good indicator that they keep on building. Now, there are approximately 12 main students in charge with roles such as fundraising, class representatives, a treasurer, and secretary. Leading the effort as coordinator is senior Katie Kramer. In order to pull off this project, Kramer has worked closely with Mary Billmeyer from Operation: New View. Operation: New View provides Loras with all the children seeking sponsors. This year, the organization took on 400 children. 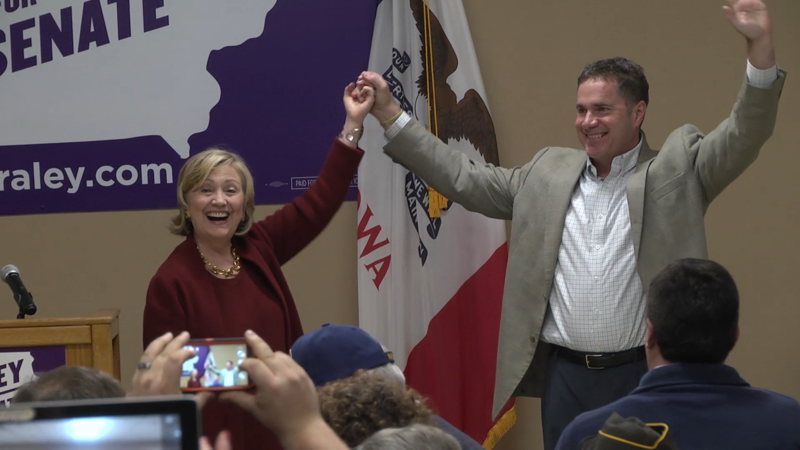 “I have been working with Loras College for the past 20 years. The students have been so caring over the years, I wouldn’t know what to do without their generosity to help so many children,” said Billmeyer. For those interested in joining the effort, all gifts are due to the library check out desk by Friday, Dec. 9. 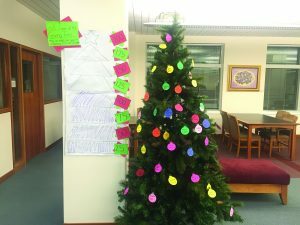 To track the progress of the project, take a look at the Christmas tree and meter located in the ARC. When the tree meter is colored in, all 200 children have been given their Christmas. “Giving Tree shows the community wide effort that Loras gives, especially coming together during Christmas and helping those in Dubuque. It’s great to see different clubs and sports team supporting each other and getting involved in service,” Kramer said.